Let’s be honest, everyone hates to queue. Wasting an hour and a half waiting for your service isn’t ideal (even when your barbers’ skills are second to none) imagine all of the other things you could be doing. Let’s shape time your way with the TUIPOINT App. Discover barbershops in your location (or search a location you’re going to visit) and smart queue in the App, no need to wait in store. It’s super easy to use, select your Barbershop, choose a barber, select a service or services and join the queue. Your place in the queue will be confirmed with the time you’ll be in the chair and the wait time. While you get on with what’s important in your life a countdown timer and notifications by the App will keep you fully informed so that you can turn up on time. The Trending tab lets you view cuts and styles, which barber created them and what products were used. 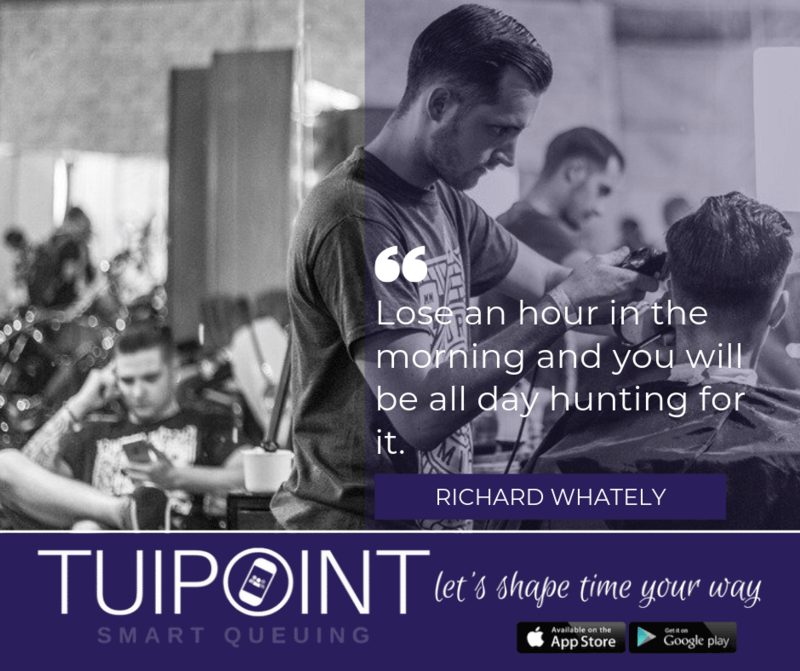 Use our App to show your barber exactly what look you like. Advance Bookings are also available depending on the barber’s schedule and working hours.